LIving where I do and producing this blog I felt obliged to post this photo from the Schofield website. Fine watches, or haute horlogerie if you’re really on your A-game, have long been the territory of the Swiss, famed for intricate levels of craftsmanship and an unerring dedication to tradition. And, for the most part, they’ve deserved it, having persevered through the Quartz Crisis. However, times are changing – and no more so than on our home soil here in the UK. British watchmaking may have suffered peaks and troughs over the past 150 years or so, but recently we’re seeing a resurgence that shows no signs of abating. From the 1600s to the 1800s it was Britain, not Switzerland, that was considered a world-renowned watch mecca, and several brands are keen to bring the heritage home. British-made watches are becoming increasingly popular, but the term ‘British-made’ can be problematic in itself. 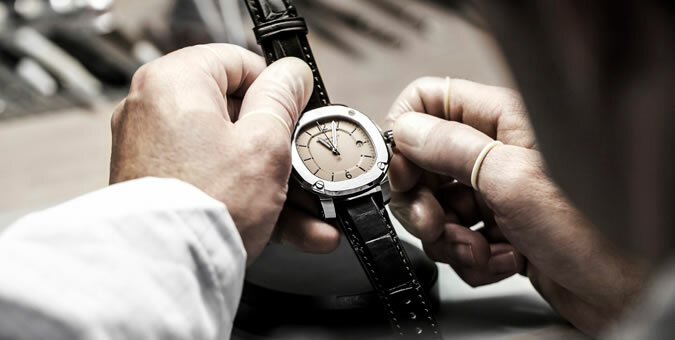 Just two British watch brands can rightfully boast complete manufacture within the UK, while components from Switzerland are still commonly used. This is mostly borne out of necessity rather than simply watching overheads, as there’s a real shortage of required skills, labour and factories that can deal with the demand. This too is changing though, and there’s plenty to suggest that many volume-friendly brands will take all production completely in-house in the near future. There’ll always be a place for Swiss watches – that much is certain. But if our rundown of the UK’s finest is anything to go by, Britain is proving itself a worthy adversary in the global arena. 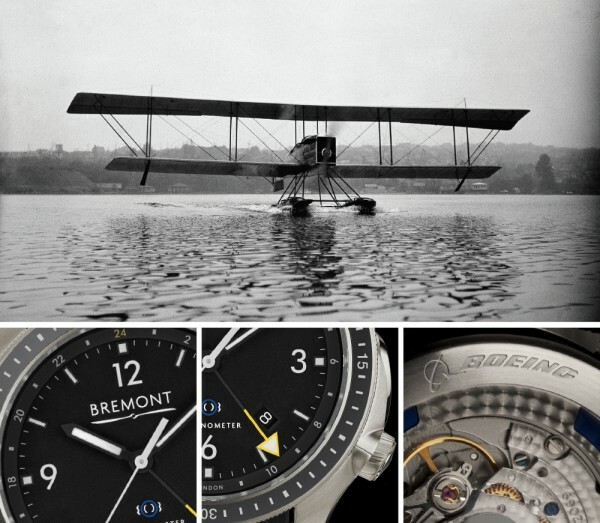 Based in the idyllic town of Henley-on-Thames, Bremont has a distinctly British flavour. Brothers Nick and Giles English (how apt) founded the company after their father died tragically while training for an air show, and the sibling’s passion for watchmaking has only grown since. Aeronautics and timekeeping have always been closely interlinked and no British brand’s more keenly aware than Bremont: the U-2, ALT1-C Classic and Boeing collections all showcase the finest in aviation watchmaking, made to fit with the modern wardrobe. Another of the brand’s most notable achievements is The Wright Flyer: a limited edition line that cleverly incorporated the actual muslin used on the wing of the first ever flight in 1903. Needless to say, owning this little piece of history doesn’t come cheap. More recently, Bremont produced three limited edition pieces to feature in Kingsman: The Secret Service, which marked the company’s first starring role. Each model – available in DLC (diamond-like carbon), rose gold and steel variations – combines practicality with quintessential British sartorialism. Rarely does a brand establish itself as a leader in the manufacture of sports, aviation and dress watches, but that’s exactly what Bremont has done. Currently in the process of moving all production to the UK, Bremont is set to be one of the leading names in British watchmaking for generations to come. Arguably the most lauded name in British horology, Roger Smith is the only apprentice of George Daniels – a man widely regarded as the 20th century’s greatest watchmaker. Daniels saw the advent of the quartz movement in the 1960s as a real threat and in true pioneering fashion pledged to combat foreign imports with a completely British-made watch. 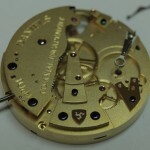 As the watchmaking trade had long since declined within the UK, Daniels went on to master the thirty-two individual skills required to manufacture a quality timepiece. 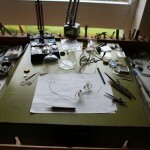 It’s this same holistic approach, dubbed the ‘Daniels Method’, which Smith has adopted, making all of his watches in the Isle of Man, from start to finish. The Roger Smith studio produces around ten pieces every year and sourcing one is even more painstaking than the laborious production process. As with other fine watches, limited production runs mean heightened exclusivity, which leads to hefty price tags. Though Smith’s stylish timepieces will price out many watch enthusiasts, they really are at the pinnacle of British watchmaking. Although partly produced in Switzerland, Burberry puts an unmistakably British stamp on its watch collections. Many UK brands lean towards classic design, but Burberry – true to form – offers a more contemporary approach with steel bracelets, simple leather straps and statement dials in navy, white, black and beige. What’s more, with relatively low price points for Swiss-produced watches, they won’t break the bank. The recent Britain Classic collection has quickly become a flagship line for the label, with sizeable yet subtle cases that make a real statement on the wrist. Alternatively, the City range offers a more minimal circular dial complete with understated steel and leather bracelets that are perfect for the office. Within the horological world, fashion-led brands such as Burberry may not receive the kudos of heavyweights like Jaeger-LeCoultre or IWC, but what they may lack in watchmaking heritage they more than make up for in brand prestige. At just four years of age, Schofield is the perfect poster child for the British watch industry, mixing a wealth of experience with exceptionally modern designs. Up until 2013, Schofield watches were designed in England and made in Germany. However, since then its timepieces have been assembled in the UK, and newer models are almost entirely made in England – hence many now having it proudly stated on the dial. The brand’s three major families: Blacklamp, Signalman and Beater, all manage to strike the balance between optimal wearability and uncompromising style. The Beater, for example, was launched at Britain’s biggest watch trade show, Salon QP, this year, delivering “rugged practicality” with a touch of dress watch sophistication. Stripped of complications, it features an enamel dial and casing that’s hand-finished – meaning no two watches are the same. Although this Sussex-based brand’s timepieces won’t be to everyone’s taste, the relative absence of complications and a lack of variety aren’t reasons to write this label off – on the contrary, Schofield knows its strengths and plays to them well. As the new kid on the block, Larsson & Jennings is part of the cooler contingent in an industry that can often be seen as stuffy and uncompromising. Minimalist Scandinavian-inspired design is infused with the trend-setting cool of London street style – and the impressive results speak for themselves. Full disclosure: although conceived and designed in London, Larsson & Jennings watches are produced in Switzerland. That said, the label does go to the lengths of sourcing British-made leather and incorporating British design markers like royal crests where fitting. Five families make up the main range: the Saxon, Kulör, Chain Metal, Lader and Liten. Each offers a different take on the everyday watch and some – the Chain Metal and Saxon, particularly – boast a distinguished formality that makes them well suited to combining with tailoring. 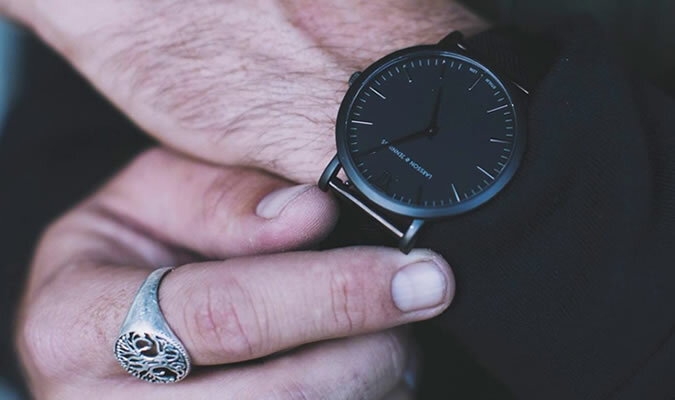 If you’re looking for an affordably priced timepiece that’ll work for both on- and off-duty days, this brand should be your first port of call. Buying a fine watch is similar to buying a car – there’s no point in investing without committing to further maintenance. With mechanical movements, upkeep is essential, and you should always reserve a small pot of cash for servicing. Failing to look after your timepiece means it’ll deteriorate, and that would be a terrible way to spoil a piece that probably cost you a fair amount of money in the first place. Department store Selfridges in both London and Manchester offers a service centre that provides reasonable tariffs on watch maintenance. Otherwise, independent service providers are available throughout the country but will probably cost considerably more, depending on what’s available in your local area. Ensuring you book in for a retiming, general service, case refinishing and crystal replacement every year or so will ensure your investment piece stays as good as new. There are many different interpretations of what makes a British watch: does it need to be manufactured entirely on home soil? Or is a watch that’s been designed in the UK but produced elsewhere still British? The question is very much up for debate but one thing is certain: more and more brands are cropping up in the UK that are looking to play on the heritage theme – something us Brits have heaps of in the style stakes. Any other homegrown brands you’d like to recommend? 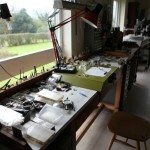 What do you think is in store for the UK watchmaking industry? 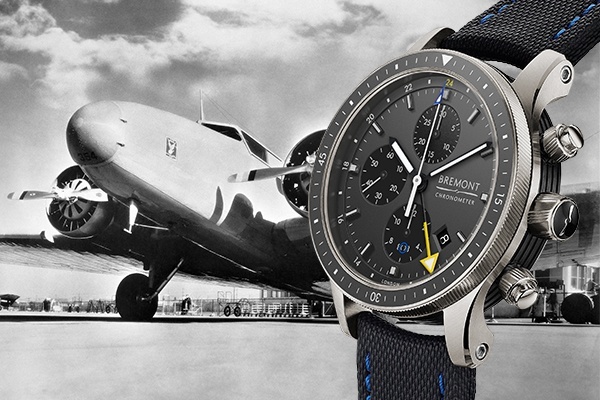 Much of Bremont’s DNA is deeply rooted in aviation. Co-Founders Nick and Giles English, both pilots themselves, set out to make high quality watches of classic design durable enough to withstand any pressures an aviator’s timepiece may endure. 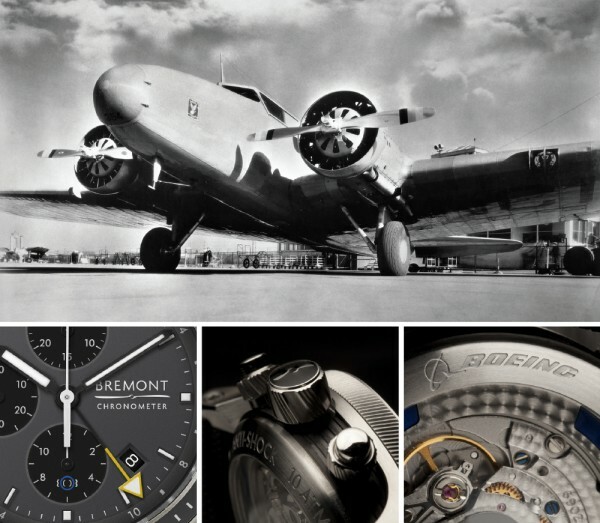 2014 saw Bremont announce a partnership with an aerospace giant, The Boeing Company. Nick English explains, “Boeing is arguably the most famous aircraft company of all time and one of the world’s most innovative engineering leaders. With its one hundred years of aerospace achievement, Boeing’s history reads like the annals of aviation.” Having seen a fantastic response to the debut Model 1 and Model 247 timepieces Bremont is delighted to be presenting further additions to the range at Baselworld 2015. Through the partnership with Boeing, a world leader in material research, Bremont now works closely with The Advanced Material Research Centre with Boeing (AMRC) at the University of Sheffield to develop exclusive new manufacturing processes. Nick English sums up the two organisations as ‘an incredible dichotomy’. The first watches in the Bremont Boeing range, the Model 1 and Model 247, are characteristically Bremont in design but use highly durable aviation-grade materials never used before in watch manufacture. The Bremont Boeing range is an exciting collaboration between three industry front-runners using cutting edge expertise and engineering excellence to celebrate the rich history and continued leadership in innovation synonymous with the Boeing brand. Working with Boeing’s material research expertise and AMRC’s development of advanced manufacturing processes, Bremont has set a new standard in aviation timepieces. Using inventive and more modern materials, the Bremont Boeing Model 1 and Model 247 are stunning advanced designs that act as classic tributes to an earlier era in Boeing’s rich history. The clean design of the Model 1 timepiece reflects the early simplicity of Boeing’s very first aircraft design whilst the Model 247 was inspired by Boeing’s progressive twin-engined Model 247 airliner from the 1930s. Developing these designs further has led to the introduction of the new Bremont Boeing Model 1 and Model 247 Titanium GMT timepieces, manufactured from Boeing aviation-grade Ti 6-4. This is a special titanium that is significantly stronger than commercial titanium and used widely in both airframes and engine components. This is the first time that Bremont will be offering lightweight aviation grade titanium cases in any of its core range pieces. New GMT functionality in these Boeing models extends the current range and also responds to a demand led by the flying fraternity, an important addition for any serious pilot. Taking forward the GMT success already exhibited in select Bremont ranges, these Boeing timepieces feature a very clear GMT hand, using a tried and tested format seen on the Terra Nova. Designed for absolute clarity and legibility, white SuperLumiNova® hands stand out against a black (Model 1) or dark grey (Model 247) base dial with highly visible applied indexes also using SuperLumiNova®. The signature Boeing ‘tick’, a nod to the aerospace company’s logo, can also be found at the end of the centre seconds (Model 1) and chronograph seconds (Model 247) hands. Whilst the original Bremont Boeing watches incorporate a sapphire bezel, these GMT models feature an anthracite ceramic bezel with highlighted minute markers signalling the first time Bremont has used ceramic in any of its watches to date. The beautifully finished automatic movements in these GMT watches are protected in Bremont’s anti-shock movement mount, all finished in Boeing blue and visible through the exhibition case backs. Bremont joined the AMRC as a research member but soon took the partnership further: “We realised that AMRC are very focused on similar things to us. For example, they’re very passionate about bringing back manufacturing to the UK which is something Bremont is devoted to. We are based at Henley-on-Thames and have a facility for making parts in Silverstone. All our watches are assembled here in the UK.” To further this aim and bring back as much watch manufacturing to British shores as possible, Bremont created a role at AMRC for a PhD research student to work at the Centre and investigate watch parts and movement manufacturing processes. As Nick concludes, “The relationship has become a lot deeper than we first thought possible, which is really wonderful”. Not many companies can lay claim to be launching into their second century, but aerospace giant Boeing is looking forward to celebrating its centenary in 2016. When Bill Boeing saw a piloted flying machine for the first time in 1909, it launched a curiosity for flight that would one day make him a household name. He purchased and learned to fly an aircraft in 1915 but realised he could manufacture an improved version to his own design. That first instinct – to Build Something Better –lay at the heart of every advance by the company from that time through its first 100 years. In June 1916 Bill Boeing built his very first aircraft, the Model 1 seaplane, and decided to make aviation his business. Boeing designed, manufactured and sold seaplanes to the US Navy during World War One. The end of the conflict marked a lean spell for aircraft production so the company switched to making furniture to survive until the market became more buoyant. The 1920s saw Boeing produce seaplanes, military fighters and mail-planes, with the Boeing Airplane Company fast becoming a leading light in a rapidly developing aviation industry. By 1938 Boeing opened up world travel with legendary aircraft like the Boeing 314 Clipper flying boat, carrying Pan-Am passengers on transoceanic routes. During World War Two, European skies saw the silhouettes of thousands of Boeing B-17 Flying Fortress bombers. William Boeing passed away in 1956 but lived long enough to see the company he founded enter the jet age. This is an article from last February. It is still worth a read. hat’s the first country that comes to mind when you think of timepieces? Switzerland — that’s what we thought. Next? Maybe Japan or Germany. But there was a time when the center of the horological universe was that rock hanging off of Europe, the United Kingdom. 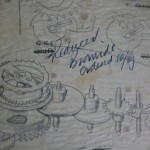 British watchmaking? Sure, there’s Big Ben, but few know the names John Harrison, John Arnold, Thomas Mudge, Thomas Tompion or Robert Hooke — all of them British, all of them major contributors to the science of horology (that is, watchmaking). Truth is, Britain’s watchmaking history is filled to the brim with excellence. Now, a new crop of British watchmakers are forging ahead to build on their country’s tradition — and to create an entirely new one. Before we look ahead, we need to look back. 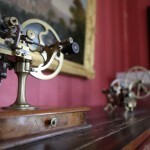 The Brits played a huge role in early watchmaking technological advances. Thomas Tompion kicked things off in the late 1600s and is often referred to as the father of British clockmaking, thanks in no small part to the many apprentices he took under his wing. 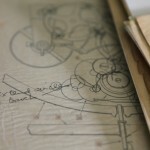 Thomas Mudge gave us the lever escapement, still in common use today and a milestone of watchmaking. Robert Hooke is known in scientific circles for Hooke’s Law, which describes the properties of springs — which, last we checked, is kind of critical to the development of a timekeeper which depends on a mainspring and a hairspring. He was buddies with, and a sort of patron to, Tompion. 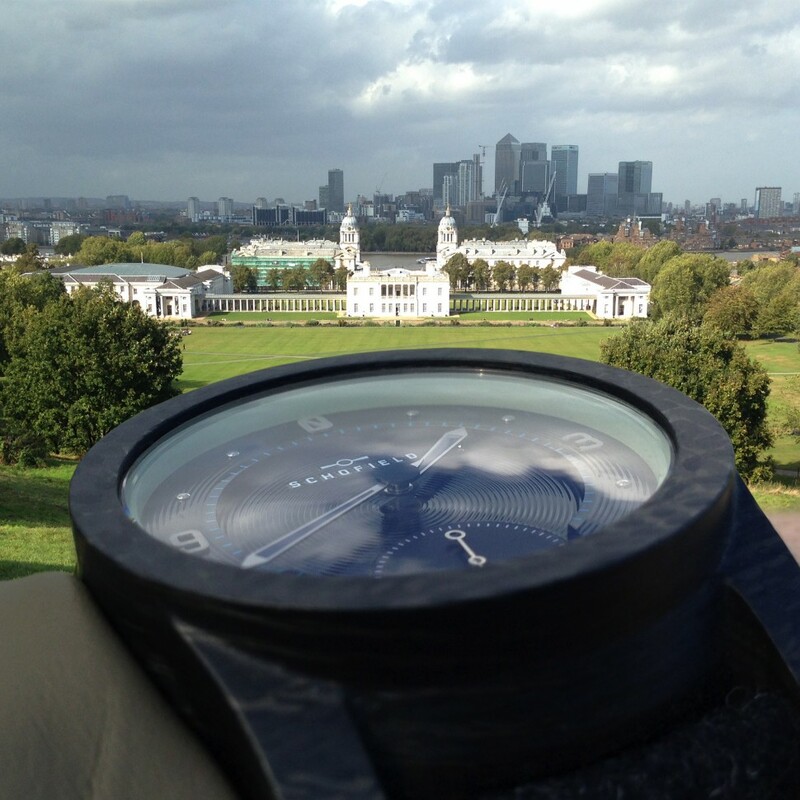 In 1759, Yorkshire carpenter John Harrison solved a little problem that had been pestering sea captains for a century and a half: determining longitude at sea. Along the way, he perfected or made major contributions to numerous aspects of precision timekeeping. John Arnold was the first to design a simple, accurate watch, picking up where Harrison left off and enabling higher production rates for marine chronometers beginning in the 1780s. In fact, it was Arnold who coined the term “chronometer”. By 1800, Britain reportedly made half the world’s watches — around 200,000 a year. A hundred years later, production numbers had fallen to roughly 100,000, though worldwide consumption was by then in the millions. The 1700s were the halcyon days of horological innovation, and as we’ve just proven, most of it was happening in the British Isles. By 1800, Britain reportedly made half the world’s watches — around 200,000 a year. A hundred years later, production numbers had fallen to roughly 100,000, though worldwide consumption was by then in the millions. So what happened? Well, it turned out that Switzerland and the United States got better at mass production quicker than those manufacturers in Great Britain. Thus the British watchmaking industry faded. There was a small resurgence after World War II, but the so-called Quartz Crisis, which nearly felled the Swiss, did the Brits in (along with the U.S. watch industry). Today there’s a British watchmaking renaissance afoot. An anecdote, and one with a dash of poetic justice, perhaps best exemplifies this rebirth. 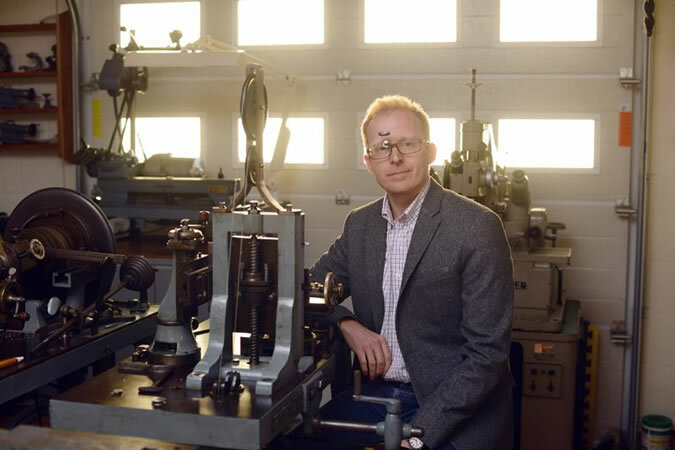 Robert Loomes, the descendant of a family that traces their British watchmaking roots to the 17th century, is on a personal mission to build an all-British watch. 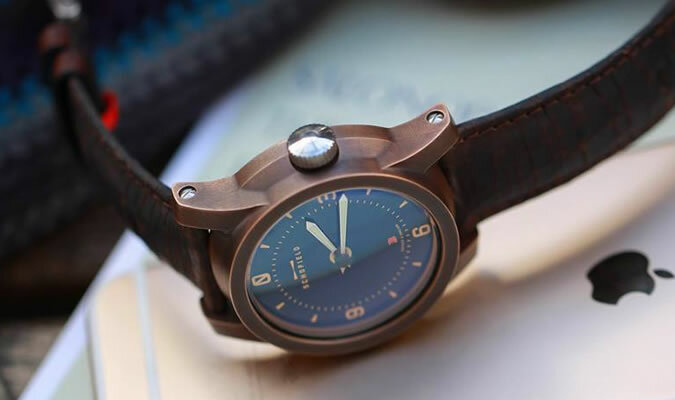 A few years ago, Loomes went looking for parts suppliers in order to make the limited-edition watches his company had designed. 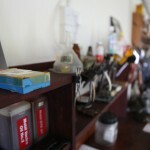 While on his search, he found shops that were using the very machines sold off by foundering British watch companies decades ago. Those machines are once again making parts for which they were originally designed and built. So who are these British re-pioneers? The recently deceased George Daniels, developer of the co-axial escapement found in nearly every OMEGA, hailed from Great Britain. Daniels only made 37 watches in his lifetime, but is considered the greatest horologist of the 20th century. His protégé, Roger Smith, leads a small team to produce about a dozen bespoke timepieces a year on the Isle of Man. Rumor has it Bremont is getting close to an in-house, all-British movement in the next few years. Anglophile watch nerds await with bated breath. 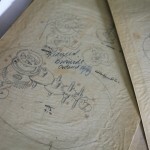 A much smaller start-up, the Great British Watch Company, was founded by British watchmaker Colin Andrews to further the idea of a British watchmaking renaissance. Christopher Ward makes their watches in Switzerland, but recently went on record to say they’re working their way back to England. The brand believes the nation can again become an intellectual leader in the industry. In fact, company founder and namesake, Chris Ward, will sit on a panel at the London Watch show this summer, discussing the revival of the British watchmaking industry. Most British brands are designing and assembling (and will continue to design and assemble) watches in the U.K. from a mix of Continental and British parts. Schofield, Dent London, Meridian and Pinion are revivals or newcomers, each building watches with movements procured in Switzerland. For them, there simply isn’t the watchmaking infrastructure to support 100 percent UK-built watches. Yet. Then there are brands that’ve taken on the persona of their namesakes, but have no real ties to either former brands or the persons whose names they’ve adopted — companies like Arnold & Son, Graham, and J&T Windmills. In fact, Arnold & Son and Graham are not British at all, being Swiss-based and now owned by Citizen. So while there may be no return to the halcyon days of 250 years ago, the story of British watchmaking is no longer merely ancient history. There are an increasing number of brands, a quiver of British-based watch magazines and websites, and two annual timepiece expositions. The horological state of the Union Jack is solid. 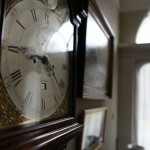 The sun may have set on the British watchmaking empire, but there’s a glimmer of daylight and it’s getting brighter. 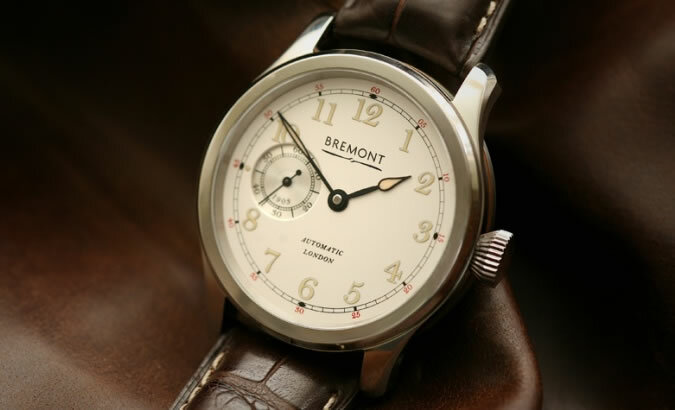 THE BREMONT WELLINGTON – April Fool ? A FITTING TRIBUTE TO BRITAIN’S GREATEST MILITARY VICTORY. A WATCH THAT PLAYS ‘WATERLOO’. This year is the 200th anniversary of the Battle of Waterloo. 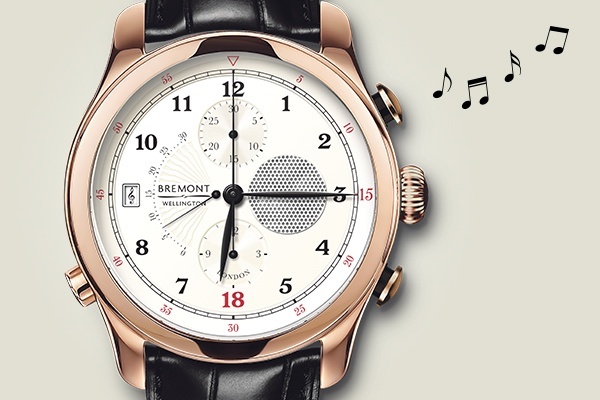 We’re marking the occasion with a limited edition timepiece: the Bremont Wellington. Like every Bremont, it’s a beautifully-engineered, hand-made mechanical chronometer. Every evening, when the time reaches 18.15, the Bremont Wellington plays the familiar strains of ‘Waterloo’ from a tiny, built-in speaker. A tasteful and sensitive tribute, we’re sure you’ll agree.